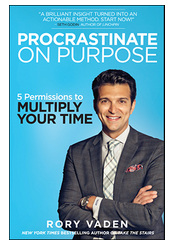 “Everything you know about time management is wrong.” Rory Vaden joins Design Movement to discuss this and other practical ways to multiply your time in his latest bestseller, Procrastinate on Purpose. Whether you find yourself in the corporate environment, education sector, or nonprofit community, time is a threat with a deluge of emails, meetings, requests while finding time to invest in your family. As a result, we can lose sight of our highest point of contribution, setting a priority, and ability to focus. 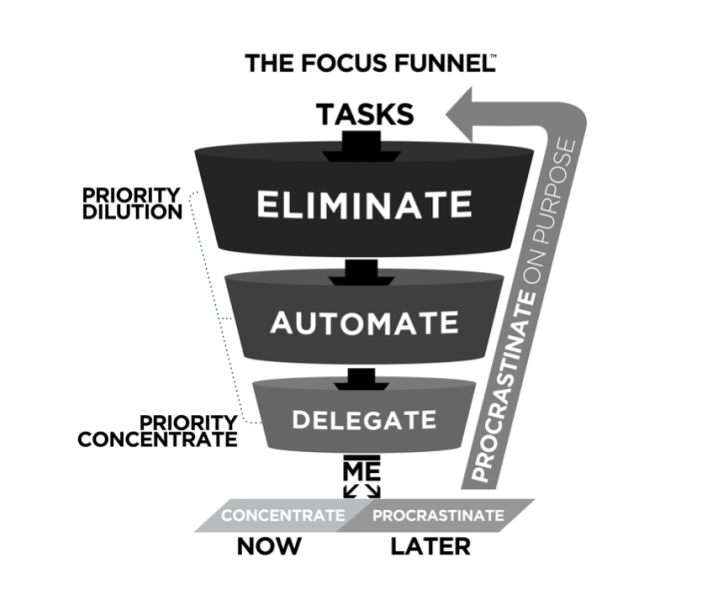 Seen below in The Focus Funnel, Rory asks you to take each task on a journey of elimination, automation, or delegation. As Rory would say, “Spend time on things today that create more time tomorrow.” You never hear successful people complaining about how busy they are (even though they are plenty busy) because they have embraced the permissions Rory describes and ultimately, have discovered how to multiply their time. Enjoy the podcast. Survey: Is Procrastination Costing You?